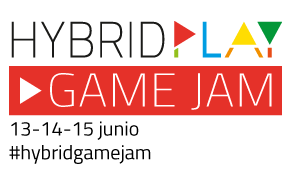 Blog Hybrid Play | Hybrid Play | Transforming kids playgrounds into a videogame! Some years ago we had an idea. The goal, you currently know: invent a hybrid play space. It was not long until we drew a plan. Then it came many other ideas. A prototype, a workshop… and more inspiration seeking to transform the playgrounds. Our own inspiration, and those of the children that played with us. We had a dream. We HAVE a dream, and now we have a date to make it happen. Finally, we are launching our IndieGogo campaign October 22nd! That’s tomorrow! We worked really hard, building a campaign that you’ll hopefully find interesting. Some details: final goal of $140.000, with a price of $124 for standard Hybrid Play units (only $99 the first early bird units). Of course we’ll also offer T-shirts and other affordable rewards, as well as some other surprises. We’re still giving the final touches and polishing everything, but we’ve bring something to liven up the wait. These are some friends and colleagues that have helped us to shape what Hybrid Play means for us, and also letting us know their thoughts no the intersection between playground, education and video games. We count on you to make a great launch happen! No more excuses. Play with your kids.